How to get rid of spam bots that flooding your comment folders in WordPress 3. I have been active in blog’s commenting lately, and i noticed before i hit “Submit” my comment, there was a “Confirm YOU are not a spammer” button. Many blogs have this button, and i wonder what the heck the button was for. Also lately it has been lots of blog posts promotes a new plugin called G.A.S.P, stands for Growmap Anti Spambot Plugin. I usually ignore some promotion posts, especially if it’s related to add more plugins. A few days ago, i still had 15 plugins installed, i thought “Oh God, don’t attempt me to add another plugin”.. It has been a few days, there were bot spams comments in my spam folder that were filtered by Akismet. Those bots are submitting comments to wordpress blogs, it’s done automatically, they are not human being, and if you don’t have akismet plugin on, they will appear in your comment box. Check out how to activate Akismet in one of my tutorials. Eventhough it was easy to empty the spams, by clicking “empty spams” button in my dashboard, i gave G.A.S.P plugin a try. G.A.S.P will combat all the automatic comments poster, so you won’t see some spam comments in your spam folders. To install this plugin, just type “Growmap” in Plugins → Add New → Search Box. Then install and activate it. Hey Kimi, it good to see that you installed GASP. It will save you so much time and it saves me time everyday. Andy Bailey and Gail from GrowMap did a fantastic job on the GASP project. Thanks for your review. It indeed saved my time to take care of those spam bots. Hi Kimi, thank you for the great post and tips. I decided to have a look at your blog based on the comments that you have made on some of my blog posts. Keep up the good work!! Thank you for coming Heinrich! Yes, i hope my wordpress tips can be helpful to others. I’m just starting out with wordpress. Could you tell me how to backup wordpress? 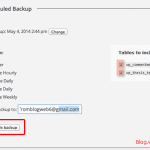 I’ve worked with blogger before, but I wasn’t sure if backing-up wordpress works the same way. Could you tell me how you back-up your site? Yes, i have posted backup and restore blog. I have restored this whole website a few months ago. The most important is your wp-content folder (because it has images, etc) and your database. Infact I was having some issue with Akismet, coz most of the comments were dropped in Spam and lot of spam were getting through. I read a post written by Suresh from SEOMMOtips.com and immediately worked on it and till date no spam in my folder. Many Thanks to Alan for creating GASP. Same here Imran, it works well. Thanks for coming and leaving a comment. Me too was a bit reluctant about installing this plugin at first because I’ve read in many places that more pluging slows down you blog. For a few days I just tried to ignore it. But I was reading posts from Ileane and Karen showing the effectiveness of this plugin. That day when I see more than a dozen spam comments Akismet helped me by throwing them in spam folder for a blog which is just a month old?, I thought, it is too much. I am more than astonished to see spam(0) in next day I installed this plugin. Wonderful. Thank you kim (Kimi?) for sharing your experience to use this plugin. It certainly worth giving a try. I have installed G.A.S.P and it worked nicely Suresh! But i don’t disable Akismet, because i notice when someone comments but also tend to spam, they click “you are not spammer button” too, but then it will be filtered by Akismet. These two plugins work brilliant to combat spam comments. 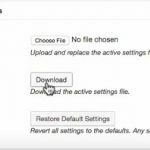 You do not need Akismet any more or any other anti-spam related plugins so you aren’t adding more plugins – you are just replacing one that doesn’t work nearly as well. It is bad to use Akismet because it sends comments from regular bloggers to spam or even deletes them before you see them. All that is explained in my blog. I am still using Akismet and will not deactivate it. I have been paying attention that if someone (not a bot) and able to check the tick box (spammer confirmation box), this someone can still be a spammer and filtered by Akismet. If a regular blogger comments and catched as a spam, it is not deleted by Akismet, but land on spam folders. It is caused by the email addresses they use. Akismet is WordPress plugin that comes by default, and it is frequently updated. I hope automattic team will be aware of this. Thanks a bunch for your suggestion! I’ll be deacrivating Akismet and Conditional Captcha before the end of the day so I can test this plug-in too ;-). I’ll be monitoring it to see how well it fares over the next few days. Well i don’t deactivate Akismet. I use G.A.S.P plugin and Akismet all together. It works like a charm. Akismet is rude to your regular readers and real commentators and can delete real comments you never even see. Look in my blog for details about that. Since you don’t have CommentLuv working here I put the link to the plugin page in the regular URL field that is linked from my name in this comment. I am also facing similar issues. Just had my blog up for a week. But my comments section were filled with spam. I activated askminet but fed up of deleting spam messages manually. I will give it a try. Thanks for the tips. This GASP is quite useful. But, i’m regretting to ask you something else form this post. I wanna ask you how to record a video for tutorials on PC. In clear, i wanna record what all i’m doing in my PC right now to demonstrate it as a tutorial.. Is there any trick or software for it? Please send me a reply to my email address provided in this comment or just reply here. I tried many Antivirus Softwares in my computer. Always i am change the different antivirus softwares. Is it became a problem? Can one give solution. Just realize about this plugin. Thanks for sharing. I am going to install this for all my wordpress sites. Thanks for letting me know, I really hate those spammers spamming my blog with the same old posts-.-. Sometimes even captcha doesn’t prevent them but sure helps. Thanks for sharing this plugin I am going to try it right away on one of my blogs. I am using Commentluv+, like on this site. It comes with GASP and works great in terms of stopping spams.